Alcohol and substance abuse is not only a national challenge but also a county challenge. It drags the County Government agenda as it directly or indirectly affects everyone in the society irrespective of age, gender or race. The County Government is concerned about the dangers posed by these drugs to the development agenda within the County and has, through the Department of Trade & that of Social Welfare, partnered with Mission of Hope Ministries, a multi-denomination group led by Seventh Day Adventist (SDA) Church to conduct a rehabilitation and training exercise for over 150 addicts at Kapsabet School for the Deaf. Together, they have launched a program called “Okoa Mlevi Initiative” that seeks to reduce drug and alcohol menace within the County. This program is spearheaded by Salome Chebitok who has for a long time participated in such initiatives. 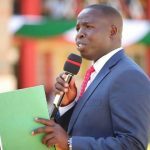 During the opening ceremony, Mohammed Bare who is the County Commissioner decried the adverse drug and substance abuse in the county. He warned that the Government will deal with unlicensed supplies of Alcohol and other drugs accordingly. 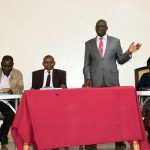 Mr Bare lauded efforts made by the county government through the County Directorate of Alcoholic Drinks Control and Licensing saying that it is doing an exemplary job by ridding out illicit and dangerous drinks from the society. 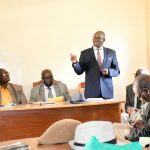 At the same time, Chief Officer Trade and Investment Dr Rose Boit urged participants to abandon alcoholism and seek alternative and progressive ways of earning a decent living. She further reaffirmed to the organizers the unwavering support the County Government has on the initiative. She said that the County Government through her Department is championing job creation for youth and the establishment of a textile industry to create jobs for the youth is on course. 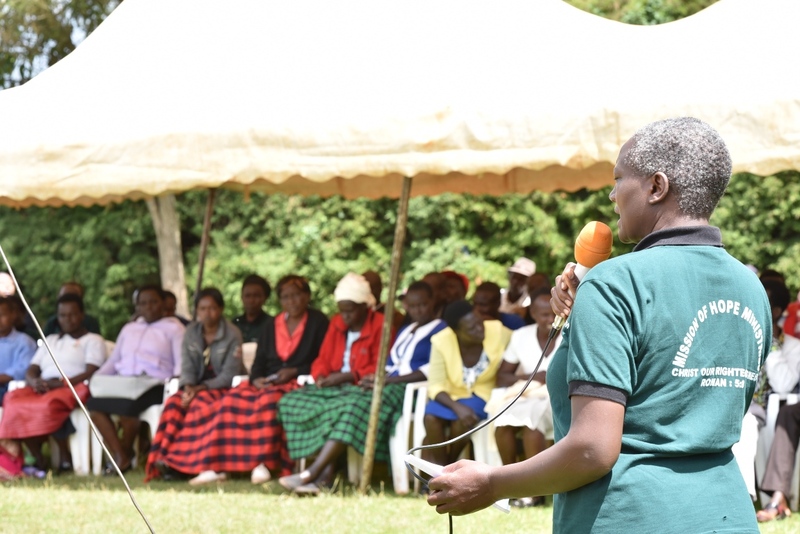 According to the County’s Director for Social Services Ms. Sarah Kosgei, the county’s plan to set up a rehabilitation center is ongoing and public awareness and sensitization on the effects of excessive consumption of alcohol is being done. Rhoda Keitany Rift Valley Regional Coordinator of Special Olympics delivered the Deputy Governor’s message of hope to the participants reassuring them of better lives ahead and that they had a second chance to make it in life by taking advantage of the rehabilitation exercise. Keitany challenged the addicts to take serious the exercise and pick lessons that will have an impact to those who are at home and spread hope to others.